For a fabulously carefree holiday, the Yelloh! 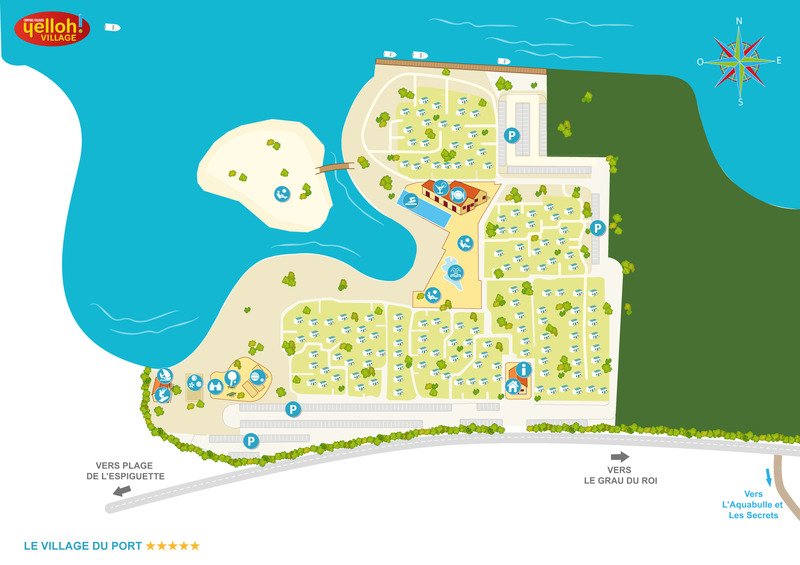 Village Le Village du Port has thought of everything: reception, restaurant, bar... Don’t wait to discover all our services! From the day you arrive to the day you leave, if you have the slightest question you only need one address: the reception desk at the Village du Port. Here our receptionists will do everything possible to provide accurate advice and the answer you’re looking for. For a question about the campsite itself and how it works, for tourist information or equipment to hire or borrow... Don’t hesitate, simply call in and ask, we’re here to help! And as soon as you push open the door you’ll immediately be plunged into a distinctly “nautical” ambiance where shades of blue and wood combine for total charm... and your total enchantment! To make everyday life that little bit easier, out of simple curiosity or because you enjoy the good things in life, we invite you to discover the on-site restaurant at the Village du Port. A cool “beach-style” decoration, traditional French cuisine, a cosy intimate atmosphere, an early-learning play area for the youngest... And not forgetting its terrace, a solarium to admire the gorgeous sunsets here in the Camargue... Children and parents are certain to spend a very special moment here with us! And right next to the bathing area, discover our “Robinson Crusoe Island”: the perfect spot to stretch out on one of the sunloungers as you soak up the sun and sip your favourite drink. Truly fit for a king!